This page present my tests of fur and hair effects. I am interrested in thoses effects since a long time and I coded quite a few programs. The most recent is my winning submission to NVIDIA shader contest :-) . 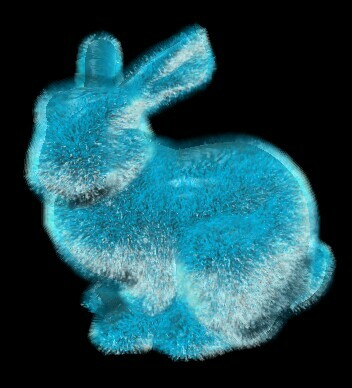 You can download binaries + full source code of this effect: hufo_fur.zip (697 Ko). Note: this only works on GeForce hardware! 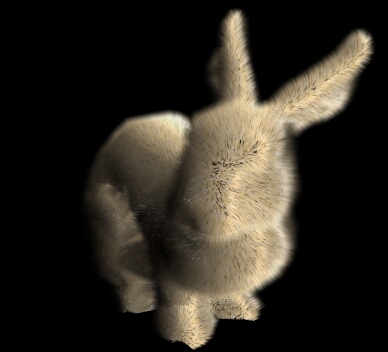 This effect uses a stack of transparent layers to simulate fur. It uses a vertex program to set up the per pixel lighting environment which is rendered through register combiners. 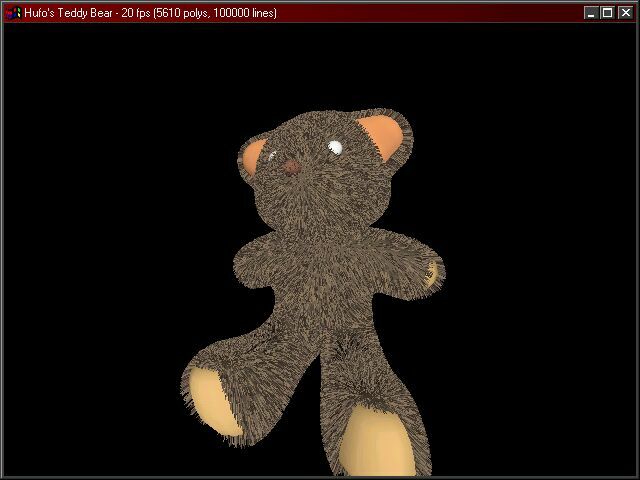 Only bump textures are used to demonstrate the added quality of per pixel lighting. 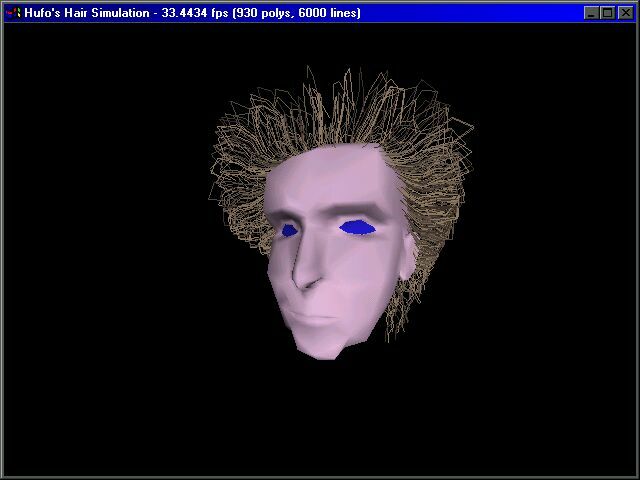 Description: I said to Otri I'll do an hair simulation code this week. 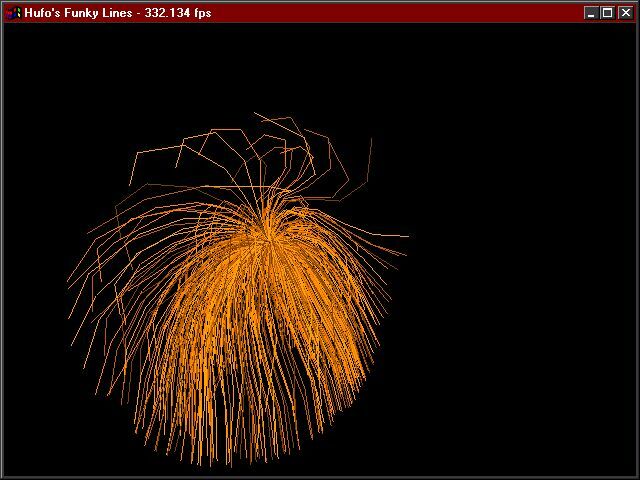 Hair simulation not very realistic but wuite funny. Use an algorithme I've done some years ago.